Home > Hardware Accessories Misc. 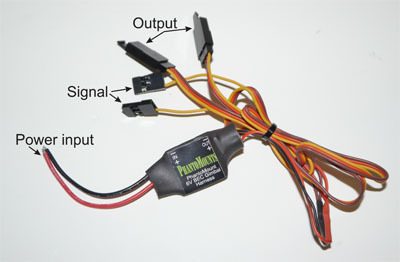 This harness comes with 2 servo extensions all soldered up and ready to plugin to your FC/Servos. This is used to set the voltage to 6v for Hitec Servos for X468 mounts, PhantoMounts Or Any Servos That Run On 6v . This can be used on any servo/servos that needs 6v for best performance. Naza/WKM only put out 4.8v and it is not recomended to power the servos off the Naza/WKM. This will allow you to power the servos direct from the battery.